Cookie messages are much better than bottle messages for one main reason: You can eat them! Yum. 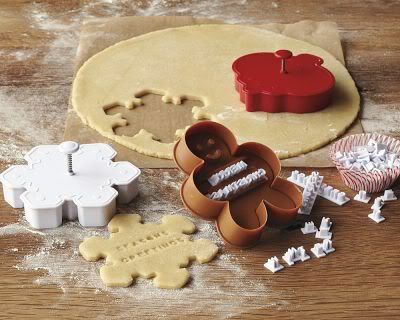 If I were a big cookie maker, I'd definitely be purchasing these from Williams-Sonoma myself, but as it stands, I rarely make cookies and when I do, they're not going to be flat sugar cookies or ones that can even be decorated really. Bring on the double chunky chocolate fudge cookies for me instead.